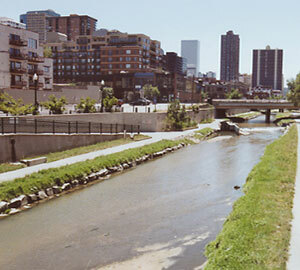 Denver provides a wide range of vacation homes for tourists. 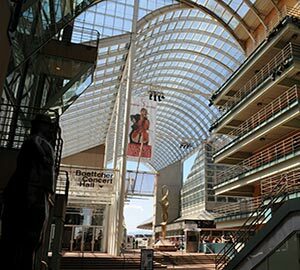 Where you stay in Denver depends on your budget and activities you want to pursue there. 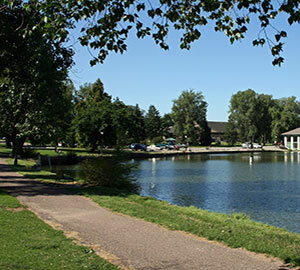 If you want to enjoy a cozy lodging in Denver’s countryside, you have an option of cottage rentals. Cabin rentals and vacation apartment rentals are the other two options you have to choose from. Pick the vacation rental according to the view you want to see when you wake up. most of the times, vacation condo rentals offer higher-end appliances and finishes than any other kind of accommodation, but sometimes, you need to pay a few extra bucks to avail other facilities. If you are a pet lover, Denver gives you an option of pet-friendly vacation rentals as well. 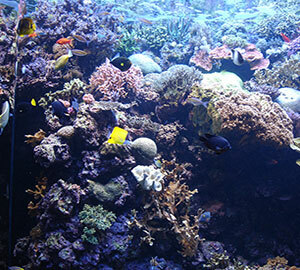 Denver serves as one of the best vacation destinations to a huge range of cravings. The city’s downtown area offers a perfect stroll. 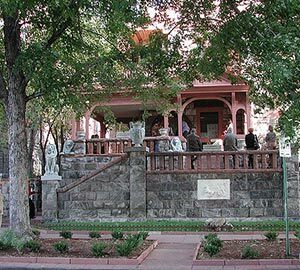 Some of the best vacation destinations include Larimer Square, 16th Street Mall, United State Mint, Civic Center Park, Mount Evans, Museum of nature and science, Denver centre for the performing arts, Kirkland Museum of Fine and Decorative Art. 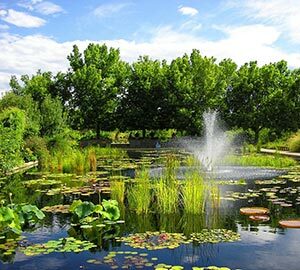 Denver Zoo and botanic gardens boast a huge variety of flora and fauna. These places offer amazing surprises for Photographers, artists, writers, adventurers, crazy shoppers and basically, everyone. 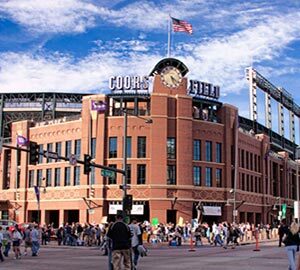 Denver gives you an option of choosing an accommodation from a huge list of options available that suits your pocket and location in the city. This tourist loving place lets you enjoy your vacations in your desired hotel with amazing offers and reasonable packages. Cottonwood Suites, Radisson Hotel Denver Central, Baymont, Hilton Garden Inn, La Quinta Inn are some of the most pocket-friendly hotels available in Denver to serve you with best amenities. Hotel Menaco, The Brown Palace, The Holiday Chalot, Hyatt Regency are some of the many hotels in Denver which are pet-friendly. Some of them do not even charge an extra buck as a pet fee. Most of them even allow 2+ pets. Booking hotels before reaching there is a preferable option. Must check the facilities provided by the hotels to get a complete benefit. 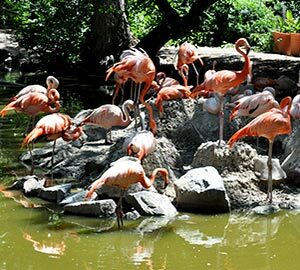 There are many websites that make the cumbersome task of hotel finding easier. Search the hotels according to your requirement here. Denver inspires its residents and travelers to embrace the entertaining and healthy lifestyle, all at once. 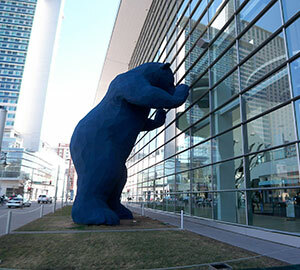 Solo travelers and families can engage in n number of activities in Denver. Must look for your vacation rentals’ distance from your favorite place out there and the activity you want to engage in. 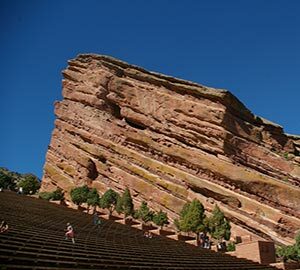 Denver Mountain parks and rocks amphitheater are the best places if you aspire to enjoy camping, climbing or mountain biking. Don’t worry if you are not an adventurer, Denver art museum, Kirkland Museum of Fine and Decorative Art and Denver Library are the fine places for you. 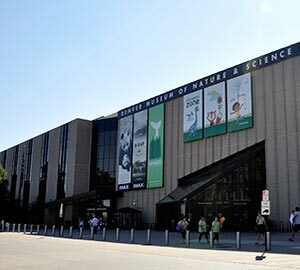 The art museum is a shelter to 68,000 unique works from around the earth. 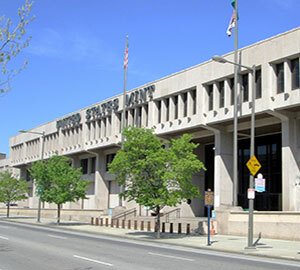 The library has a remarkable Western history collection, which combines thousands of photographs, atlases, cataloged books, and manuscript archives. moreover, it also has a wonderful collection of Western fine art and prints and the Otto Perry Collection of old railroad images. The children’s museum of Denver is an interactive, informative and exciting place for children to explore, discover and learn through play. Denver also gives you an opportunity to enjoy jazz, street art, peanut butter, and jelly sandwiches, exhibitions, sports, orchestras, and the list seems endless. Nestled in the foothills of the rocky mountain, capital of Colorado is known for its scenic beauty and serene weather. Denver is an American metropolis known for its liberal (after all, Denverites did vote to legalize marijuana in 2013), friendly and welcoming reputation. The history of this city dates back to the old west era. It is one of the few cities in the U.S. that was not built on a road, rail or waterbody. Settlers were attracted to the city because of the abundant gold found there. In the summer of 1858, fortune seekers from Georgia traveled on foot with their wagons, horses and log cabins. At the base of the Rocky Mountains. The city's name was chosen to honor the territory's governor, James W. Denver. It is a paradise for beer lovers as 200 different kinds of beers are brewed daily in Denver. 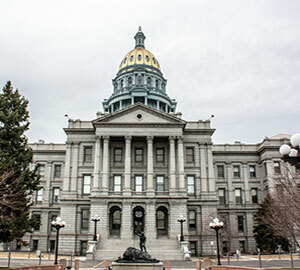 Not just that, another amazing fact about Denver is that the dome of the Colorado state capitol is plated with 24 gold. The city is called the ‘Mile High City’ because it sits at an elevation of exactly a mile. Over time, Denverites have evolved into nature-loving, open-minded, liberal people. Nearby mountains provide them with an ample of options to enjoy the outdoor life and keep them active. 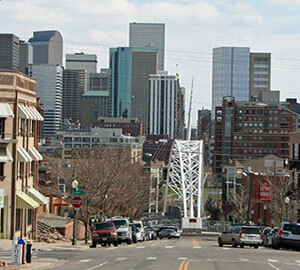 Many people decide to move to Denver because of its serene environment and pristine beauty. Its growing economy is the other reason for some to move here. The weather here remains sunny most of the times. But it experiences hailstorm, rain, snow, and lightning as well due to its geographical conditions. Many people own a car or a bike here, despite it being an eco- friendly city. Less than 40% of people here are religious. Nonetheless, it houses a lot of Catholics, other forms of Christians and very few people practicing eastern religion. The cost of living in Denver is quite affordable. 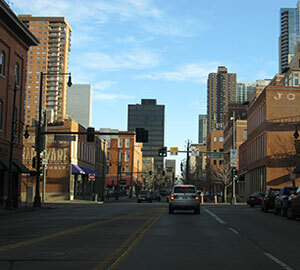 On weekends, you would feel like no one lives in Denver because of the multiple events happening in the city. The mountains make it a vacation destination. But, Locals are so much engrossed in enjoying mountain centered activities that sometimes, they forget about community building. If you are not an outdoor person, you might feel left out. Denver is one of the most happening cities in the country. Different festivals and events brighten the city throughout the year. Festivals offer entertainment, food, and art during every season. 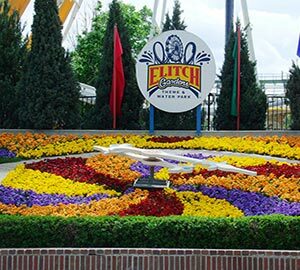 it hosts festivals for people of every taste. festivals are centered around sports, culture, beer, nature, art and what not. Some of the most attended festivals are National Western Stock Show, Cinco De Mayo, Dragon Boat Festival, like Cherry Creek Arts Festival, Denver Pride and many more. Locals and visitors enjoy festivals of many communities and include a wide range of genres like cuisines, brewing, music etc. Colorado is America’s craft brewing nexus, and the annual craft brew festival in Denver is the country’s major attraction. Each December the downtown region of Denver, Colorado sparks itself up for the Christmas holiday with a parade of hot air balloon floats, horse-drawn carriage rides, live music, and various more festive ventures. if you are interested in none of the above-mentioned activities, do not feel disheartened. You are still in the perfect place. Each March in Nederland, the city celebrates Grandpa Bredo, their cryogenically frozen mascot is over 110 years old. This unusual festival is full of live music, coffin races, ice turkey bowling, a polar plunge, and brain freeze contests.Colorado is America’s craft brewing nexus, and the annual craft brew festival in Denver is the country’s major attraction. Each December the downtown region of Denver, Colorado sparks itself up for the Christmas holiday with a parade of hot air balloon floats, horse-drawn carriage rides, live music, and various more festive ventures. if you are interested in none of the above-mentioned activities, do not feel disheartened. You are still in the perfect place. Each March in Nederland, the city celebrates Grandpa Bredo, their cryogenically frozen mascot is over 110 years old. This unusual festival is full of live music, coffin races, ice turkey bowling, a polar plunge, and brain freeze contests. If you are running on a low budget, here is the list of things you can do there free of cost. 450+ airlines are available to take you to your dream vacation destination, Denver. Online flight booking is one of the easiest ways to book your seats. It takes 20+ hours to reach Denver from Delhi, India. Some flights even take more than a day. Travelers must not forget that reaching Denver is worth all the wait. Flying in the blue, spotless, pristine skies of Denver is an experience in itself. Reaching Denver from India might cost you somewhere around one lac rupees. Air ticket booking in advance could help you save a handsome sum of money.